The Arvo Pärt Project co-presented an incredible concert featuring the Estonian Orthodox composer’s music on Monday evening, November 12, 2018 in New York City. 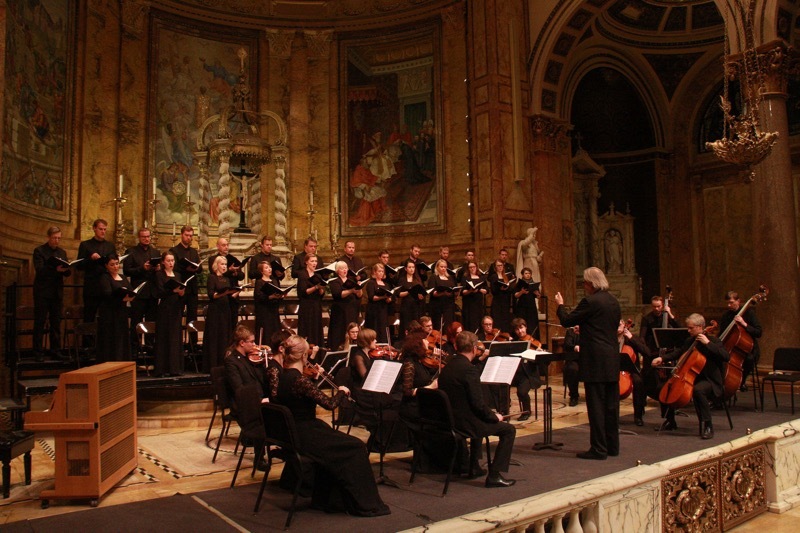 The Project partnered St. Vladimir’s Orthodox Theological Seminary with Sacred Music in a Sacred Space for the event. His Grace Bishop Irinej of Eastern America and His Beatitude Metropolitan Tikhon of the Orthodox Church in America joined a sold-out crowd for Arvo Pärt: The Sound of the Sacred. The audience was privileged to hear some of the leading performers of Arvo Pärt's music in the world, the Estonian Philharmonic Chamber Choir and Tallinn Chamber Orchestra, conducted by Tõnu Kaljuste. 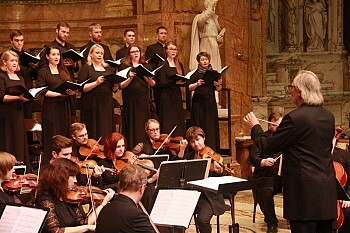 The all-Pärt program included two major compositions inspired by St. Silouan of Mount Athos, as well as a new setting of the Prayer from the Kanon of Repentance performed for the first time in the United States.